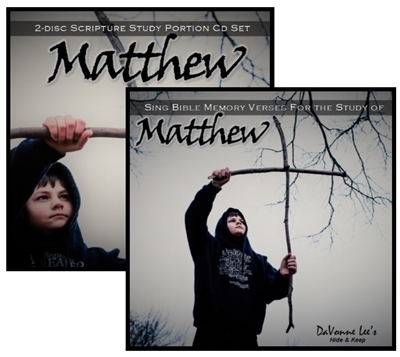 Matthew Scripture Portion Study 2 Disc-Set: This 2-disc set is ideal for Auditory learners or young readers! DaVonne reads all Scripture portions used in the Study of Matthew, published through WordAction. Each track is exactly what the children will be studying from and quizzed over in Dig Sites 1-20.